Summary: Lydia has been trained into a person she might have once feared: focused, fierce, deadly. Although she never wanted the life of a Montauk Project recruit, the Project has captured someone she loves-someone she'll do anything to save. 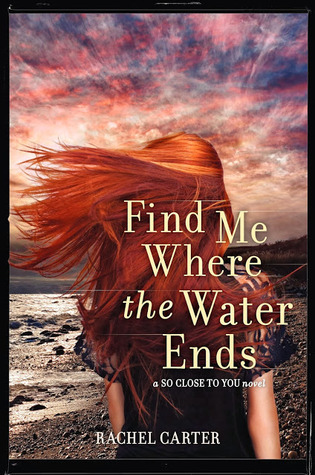 Publishers Weekly said that "readers will be hooked" by Rachel Carter's plot-twisting So Close to You series. The conspiracy theories, romance, and compelling "what if?" 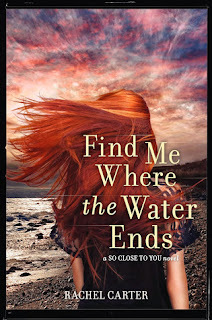 questions build to a satisfying series end, makingFind Me Where the Water Ends the perfect fit for the teen fans of light science fiction like The Time Traveler's Wife. My Thoughts: Another story where I really enjoyed the first few books but then this one felt kind of slow to me. Usually its the second book in a series that is slow but the last few end books were slow for me in a few series I’ve been reading. A lot of this one is spent out in the woods on the run trying to get away from the authorities and hoping the Project rescues them. I really liked the new characters. They both were interesting and enjoyable people to get to know. I also liked that we are back with Wes and Lydia and learn more about their relationship. I just wasn’t as invested in this couple this time around. I liked them, and I wanted them together but by now I just want things to be peachy! I really liked the ending, that's what did it for me! Overall: I was so swept away by the first in the series and by the third I just want them together already and everything to be ok! LOL I recommend this series! I'd say this is between a 3.5 and a 4 cupcake rating for me! Cover: Love it! The girl just has such pretty hair! I love all the covers!